Bollywood celebrities head to New York City for attending IIFA Awards 2017 - Photos! Bollywood celebrities head to New York City for attending IIFA Awards 2017 – Photos! Saif Ali Khan, Karan Johar and Manish Paul were snapped at the airport in Mumbai as they headed to New York City on July 10, 2017. Celebrities from Bollywood are excited and all geared up for the IIFA extravaganza. 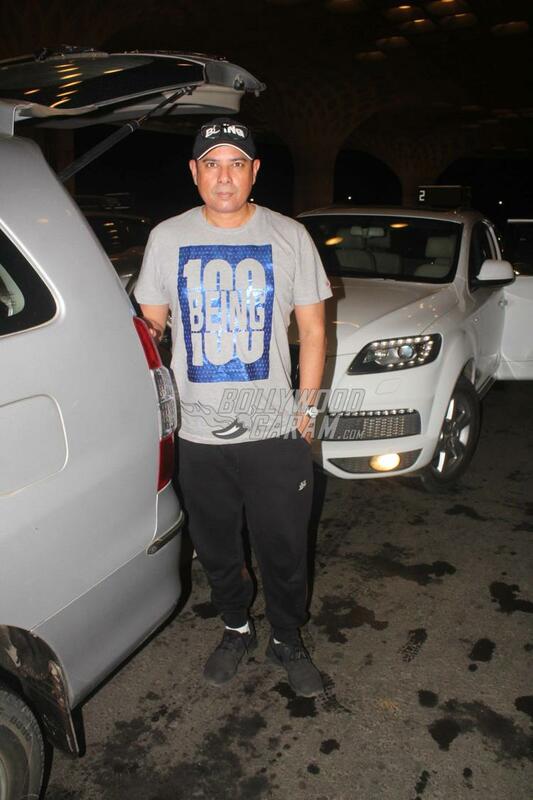 The airport also saw Atul Agnihotri and wife Alvira Khan too, as they headed to attend the awards show. Shahid Kapoor, Mira Rajput, Misha spotted heading to IIFA Awards 2017! 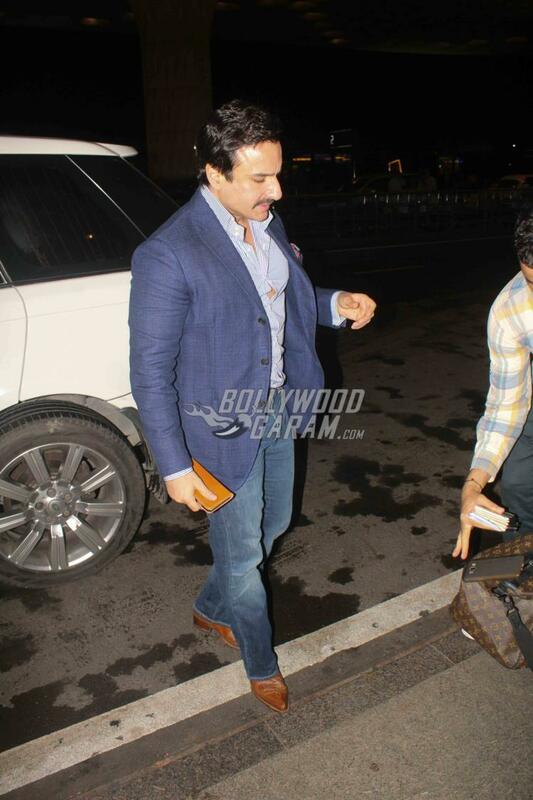 Saif Ali Khan was seen at his stylish best for his travel schedule with a shirt, a pair of denims and a blue jacket. The Rangoon star looked dapper with a mustache as he smiled for the cameras at the airport. Saif will be joined by kids Sara Ali Khan and Ibrahim Ali Khan, who were also snapped at the airport. The actor will be joining Karan Johar to host the event. 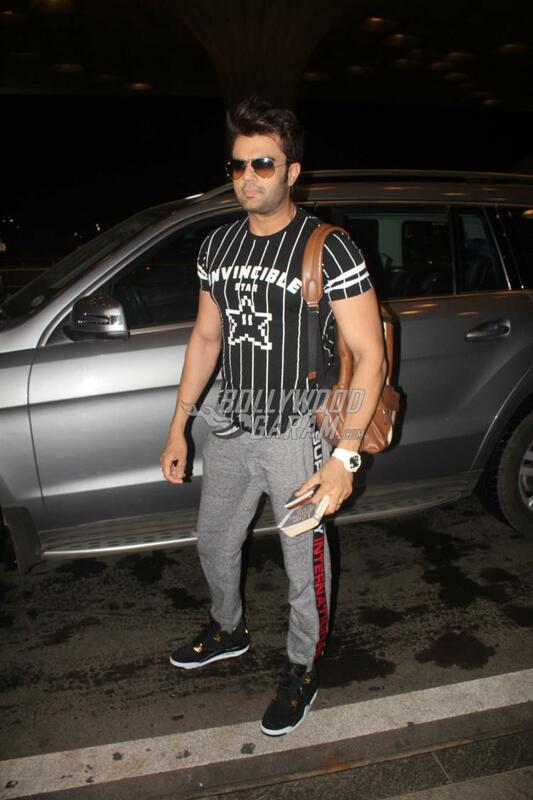 Karan for the airport look looked great in a long red jacket, black t-shirt and black denims. Seems like, the filmmaker is traveling alone without his children Roohi and Yash. Maybe next year, the twins will be accompanying doting father Karan on his travel schedules! Also read – Saif Ali Khan, Karan Johar to host IIFA 2017! Also read – IIFA Awards 2017 to be aired live on Colors TV!